Creating a personal budget— Probably the first thing that comes to our mind when our finances are mismanaged and largely forgotten. It is quite intimidating to recall where we have spent our money. For setting up a personal budget, you don’t have to be an accountant or a professional bookkeeper to maintain your financial records and track where the money actually went. All that is required is to put your financial expenses into writing for maintaining a healthy life cycle of your paychecks. A personal budget helps you plan your income and expenditures wisely. Those who are successful start to gain more control over their financial aspects. It would be wrong to say that our budget defines who we are, whether we are spendthrifts or skinflints. In simplest terms, the budget depends on our spending patterns. Those who are unable to plan and meet their budget cleverly may find themselves in severe agony or stark anguish. So, creating a personal budget is mandatory for those who find themselves stuck in a miserable financial crises. 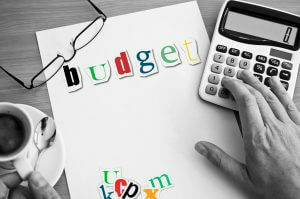 Undoubtedly, creating and maintaining a personal budget may be a painful process, especially for those who are not good at remembering and recording financial transactions. Logically speaking, it isn’t that hard because almost everybody knows where they spend their financial resources. All that one needs to do is record and track transactions for maintaining a healthy flow of operations and activities. No matter how difficult personal budgeting may sound, there are ways in which it can be created, organized, and maintained. To make smart use of your money, you need to dig deep into your life values such as your social, physical, and financial environment. Intrinsic motivation is derived from social pressures, societal norms, and personal values that push a person to make a personal budget for maintaining a healthy life cycle. However, this only happens when a person builds and maintain a positive mindset throughout the course of the journey. And above all, understanding goals and setting up priorities accumulates to give you more control over your finances and eventually over your life. In short, smart planning and budgeting always help you to make better financial decisions in life. This is probably the most crucial step in creating a personal budget. Obviously, you can only spend what you have in your bank account. A smart move is to keep at least 30% in reserve for dealing with an unexpected financial crises or uncertainties. These circumstances can spring up anytime– perhaps if you lose your job, become ill, or there are delays in your monthly paychecks. You can use this reserve to pay off your expenses. Before allocating money for meeting several necessities, you must know exactly how much money you can afford to spend in a single month. By creating a personal budget, you can easily manage your budget and keep track of your finances. Most of us are impulse buyers or have an irrational buying and purchasing pattern. We hardly care about money when it comes to buying our favorite products or services. This is a major hit-back in our finances which disrupts the whole monthly budget. This pattern must be avoided at any cost! For avoiding impulse purchasing, you can make a shopping list and strictly stick with it when shopping. Look for stores that offer competitive prices, buy-in-bulk (only the things that are used a lot), take cash only, give attention to sales promotions, use discount vouchers, and, most importantly, make rational judgments when you are purchasing items. Every outflow of cash or funds must be recorded, preferably at the moment you make the purchase, either on your phone’s notepad or a Budgeting App. This way, you can consider this transaction when budgeting afterward. By doing this, creating a personal budget and maintaining a track of your transactions will become easier and far more convincing than ever. Keeping a close eye on your monthly spending will allow you to maintain greater control over your budget. At the end of the month, you will notice and fix the discrepancies with reasonable judgment. Moreover, it will allow and help you examine whether or not you are in your budget limit. Making adjustments is as hard as creating a personal budget… at first. This may possibly be the most discouraging element when your personal budget results don’t meet your financial needs and expectations. However, you don’t need to worry about this because, once you get used to following your budget, eventually things will start to land in your way. And, you’ll actually see that you end up with more money in the end. Staying on top of your personal budget can become intimidating and challenging. For most, it’s a ‘necessary evil’. It doesn’t really matter how well off you are financially, you still need to build and establish a personal budget for making an optimal use of your in-hand resources. Creating a personal budget has become the need of an hour and those who successfully manage their personal finances save a lot of money for more important future establishments. Budget Calculator Spreadsheet That Guides You As You Build Your Budget and Looks for Ways to Improve It.